He is one proud papa. 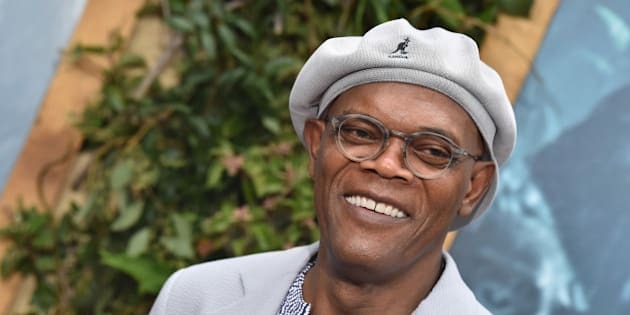 Not many people realize that Samuel L. Jackson is a father. The 67-year-old and his wife, LaTanya Richardson, have one daughter named Zoe, and she’s the spitting image of the Hollywood actor. Looking at photos through the years, there’s no doubt that Zoe has inherited her famous father’s good genes. Everything from their smiles down to their fashion sense is so similar. Just check out this snap of Zoe at age 16 joining Jackson on the red carpet. And here she is at age 26 posing with her family at the 2008 Annual American Cinematheque Awards in Beverly Hills, California. If that’s not enough proof that the father-daughter duo lookalike, then check out this recent pic of the two with actor Clifton Collins Jr. at a restaurant opening in 2013. Today, Zoe is 34 years old. While she keeps away from the limelight, her father is never one to shy away from talking about how grateful he is to have her as a daughter. In fact, back in June at the BET Awards, “The Legend of Tarzan” star credited Zoe and his wife for saving him from his alcohol and drug addiction in the '90s.